Trying to figure out how to trim a Cocker? without having to pay a groomer to do it for you! 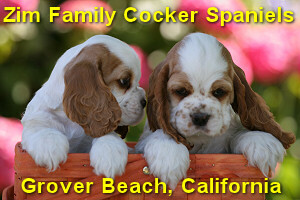 In the early days of my web site, I noticed that I was getting a lot of email with questions about Cocker Spaniel grooming. Some would ask what kind of electric clippers I recommend, others were looking for instructions on exactly how to give a proper Cocker haircut... and many people specifically asked if I knew of a video that would teach people how to groom a Cocker. After about the 50th person asked me that question about whether there was a video... I decided it was time to make my own DVD about how to groom Cockers! 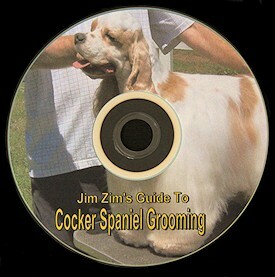 In 2007 I created the original version of my Cocker Spaniel grooming DVD. I really didn't expect that very many people would ever see it. I honestly thought I might sell 25 or maybe 50 at the most. It turned out to be a little more popular than that! Apparently a lot of people search on Google for "Cocker Spaniel Grooming tips" or "how to groom a Cocker Spaniel" and other various phrases like that... and they end up finding out about my DVD. I ended up selling hundreds and hundreds of the grooming DVDs! 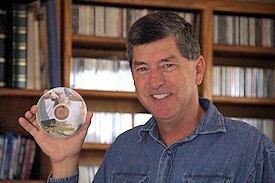 As the years went by, my little DVD ended up in homes all around the world... all over the USA and Canada, and from Australia to South Africa to Singapore and India. 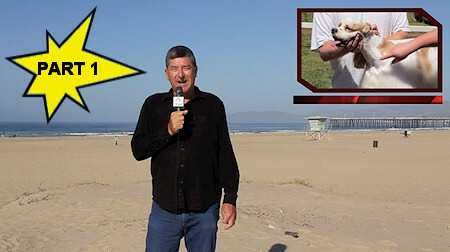 In 2011 I created a new-and-improved version of the grooming DVD, with some significant improvements over the original. I shot the new version with a much higher quality camera this time around, so the picture quality is definitely better... and it's in widescreen (16:9) format, so it fills the entire screen of today's high definition televisions. The 2007 version was shot in the old 4:3 screen format that was used back in the pre-HDTV days. In the years since that original version of the grooming DVD came out, I've made some very interesting new friends in the Cocker Spaniel show world. One of them is not only an expert on show dogs, she is also the publisher of a very well respected magazine for Cocker lovers worldwide, and a professional groomer, too. Her name is Eilene White, and she does a very extensive grooming demonstration which I think is the highlight of the new version of the video. I also paid a little closer attention to the camera work in the 2011 version. It always bothered me that in the 2007 version, there were a few scenes where I was literally half way out of the picture when I was talking on camera. Let's just say that there was a bit of a learning curve for me when it came to framing the shots and then running around to the other side of the camera to get in to them! I got that stuff right this time around... so, hopefully, this version of the video will pass the test of time and there won't ever need to be another new version! The latest news is that I've decided to do an experiment to see what happens if I distribute the grooming video for free viewing via YouTube rather than selling a physical DVD. So, lucky you! Rather than having to shell out $30 for the DVD (like people have been doing since 2007) you can watch it for free... as long as you don't mind putting up with a few advertisements. The grooming lessons are broken down in to seven segments. In Part 1, I start with a general introduction to what you'll see in this 7-part series of videos. I figured that if I had to do an introductory video, I should shoot it somewhere scenic... so I shot it at the beach about a mile from my house. After the introductory remarks, I reassure you about what you might be worrying about: "What if I do a horrible job of grooming my dog and I just make him look like a mess?" I show you exactly what to do in the event of a grooming "worst case scenario". It's a simple fix, and I hope it gives you the confidence to try doing your own Cocker Spaniel grooming even if you mess it up the first time! In part 2, it's time to jump right in to some Cocker Spaniel grooming. I wanted to find a dog that was in desperate need of a good hair cut, so I called up a friend of mind that runs a Cocker Spaniel rescue group. She had a dog (rescued from the local animal shelter) who looked more like a sheep dog than a Cocker. So, I travelled to Santa Barbara to work some magic on this furry mess. It's a great demonstration of how easy it is to get a Cocker Spaniel looking good again with just a few basic grooming tools such as a good pair of electric clippers and a grooming table. The intent of this segment is to show you a quick and easy version of Cocker grooming... not necessarily to do a perfect job! In case you're thinking to yourself "that doesn't look like a Cocker!"... be aware that it is indeed a purebred Cocker... it's just got an unusual type of markings known as merle. In part 3, I introduce you to some real pros: Gary and Eilene White of Crestrail Cockers in Carson, Washington. Best known as the publishers of the "Cocker Classic" magazine, these people know Cockers... and they've had great success in the show ring over the years. Eilene is a professional dog groomer, so I pretty much turn things over to her for a 45-minute master class in Cocker grooming. I think it's easier to give a dog a haircut if you have an idea in your head of what the perfect hair cut looks like. So, I ask Gary & Eilene to bring out one of their champion show dogs... and we look him over while Eilene explains how he has been groomed. We go over him from head to tail to see what a champion looks like... and you can refer back to this if you ever need a reminder of what the end result is supposed to look like. Earlier, I demonstrated my quick and easy style of Cocker grooming using not much more than a pair of electric clippers and some scissors. In part 4 it's time to see how a pro does it. Eilene is indeed a professional dog groomer, and she takes you step-by-step through the process of grooming a pet Cocker. This segment is the highlight of the entire series of videos. Really, it's amazing that this information is free on the Internet now. In the old days, you would have had to pay a lot of money for professional instruction like this. 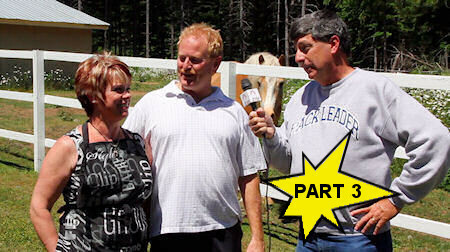 Be sure to keep an eye on the horse in the background as you're watching this segment! In part 5, back at home on my patio, Morgan sits on the grooming table dripping wet after a good bath. I show you two options for getting her dry: the cheap way that works just fine... and another way to go if you don't mind spending a few hundred bucks to make the process simpler and quicker. In part 6, I show you how easy it is to prevent ear infections in your Cocker Spaniel by simply mixing up a batch of our world-famous ear cleaning solution. Using ingredients I bought at my local pharmacy, I go step-by-step through the very simple process of making this super-effective ear treatment. Of course, Morgan was the one I called on when it came time to demonstrate how the ear cleaner is applied in to the ears. And as soon as I finished applying the ear cleaning solution, she did exactly what she was supposed to do! Finally, in part 7, after 90 minutes of instruction (45 minutes of it with Eilene White) it was time for me to say good-bye and to roll the credits. 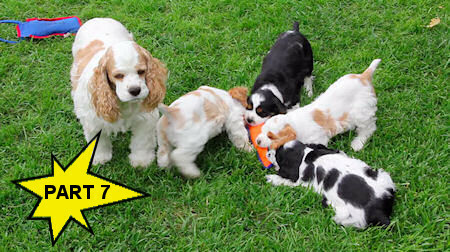 But there was just enough time left to take a look at some fun video I shot of the last litter of puppies we bred before we retired from Cocker Spaniel breeding! If you're interested in owning this series of videos on DVD rather than having to download the videos individually from YouTube, please contact me and I'll let you know how to order a copy. ($30, including shipping within the 50 United States) Sorry, I don't ship the DVDs internationally... so, if you're outside the USA, please just watch the videos online. My Cocker Spaniel Grooming video has a Facebook page! you'll need a few essential grooming tools. Keep scrolling down the page to see exactly what equipment I recommend. for any purchases made through the links on this page. Having the right kind of electric clippers makes all the difference in the world. Years ago, when I had my first Cocker of my very own, I had very little money so I bought a cheap electric dog clipper at KMart. Big mistake! Those cheap dog grooming kits you see in the discount stores are horrible. They don't cut well, and they don't last very long. The blades are not replaceable, so once the blade gets a little old and worn, you're totally out of luck. If you want to have the easiest time trimming your dog, and you want to do a professional looking job, and you don't want to have to replace your clippers again in a few months... what you need to do is buy a quality pair of electric clippers in the first place. Based on my personal experiences grooming many Cocker Spaniels over the years, what I recommend is the model AGC-2 clippers by Andis. This is a high-quality electric clipper that you will not be disappointed with. It comes with a #10 blade, and is compatible with both Andis and Oster blades and snap-on combs. On my grooming videos, you will see that both Eilene and I do all of our dog grooming on a grooming table. There's a very simple reason for that: it's so much easier to groom a dog when it's sitting up at just the right for you to work on. As far as I'm concerned, a grooming table with a metal arm and a noose should be one of the first few things you buy for yourself. And that goes double if your dog isn't entirely cooperative! That noose on the end of the metal arm will help keep the dog under control so that you have both hands free to work with. 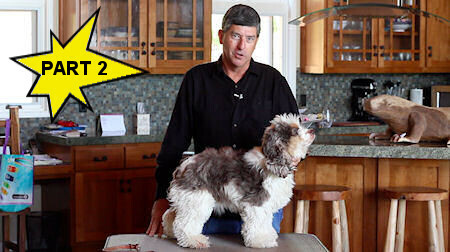 You may even want to order a second noose and arm so that you can use one on each end of the dog. Keeping the clipper blades properly lubricated is absolutely vital. The two metal pieces that make up the blades rub together metal on metal. This creates heat and eventually dulls the blade over time. To keep the blades in the best possible condition for the longest possible time, you need to keep them lubricated. The clippers do come with lubricating oil to do this, but there's an additional product that is also very useful. It's called Kool Lube, and it's an inexpensive spray-on lubricant that you apply to the blades every so often. It's quick and easy to use, and if you do it every ten or 15 minutes during your grooming session you will keep those blades working well. One can of Kool Lube typically lasts me several years. One final thing you'll need is a good dog grooming brush. For Cockers, I recommend a two-sided brush with soft bristles on one side and rounded metal pins on the other. You use the soft side to get the dog used to being brushed, as well as for brushing off loose hairs from the coat. You use the metal pin side for the long hairs... such as on the ears and legs. The electric clippers, lubricant, grooming table, brush, and a nice sharp pair of scissors are all you really need to do basic Cocker grooming. One of the most useful accessories is called a blade comb or a clip-on comb. This is a piece of plastic that snaps on top of the blades, and prevents you from trimming off more than a certain amount of hair. For example, if you clip on a 1/2 inch blade comb to your clippers... no matter what you do, at least 1/2" of hair will remain when you are done. 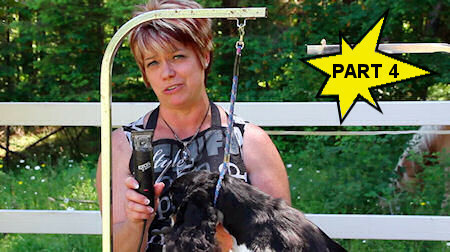 This is great for inexperienced groomers, as it keeps you from making too big of a mistake with the clippers! I like to use a 1/4" blade comb to assist in getting the length of the top knot correct. A 1" clip-on comb is handy for shaving the dog's legs without leaving them totally bare when you're done! These Oster-brand combs will fit Oster or Andis clippers. Thinning shears are scissors that do not cut all of the hairs... they only cut some of them. This allows you to thin out the coat by removing some hairs but leaving other long hairs alone. This is especially useful when working on the top knot (the tuft of hair on top of a Cocker's head) or when transitioning from an area of short hair to an area of long hairs. 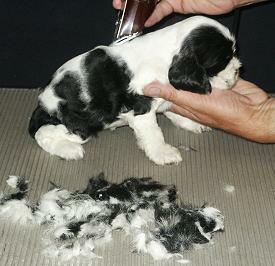 People involved in the Cocker show world sometimes use thinning shears for the majority of the cutting... because they don't leave lines or patterns in the coat. A haircut using thinning shears tends to look very natural. You can spend anywhere from $10 to over $100 on thinning shears... depending on the quality of the shears. If you want to try some inexpensive ones to see if you even like using thinning shears, the ones listed here are very affordable. Practice with them, and see if you can develop a nice technique. Then, if you become a big thinning shear enthusiast, you can graduate to a nicer pair later. Scissors with curved blades are very useful for trimming around a dog's feet, and also for clipping around the shape of the head. Scissors with a straight blade make a straight cut that sometimes looks very rigid and un-natural. The curved blades help make things look a little more natural. A slicker brush is useful for removing mats from your dog's fur, and I also really love them for brushing out the ears. While a pin brush has rounded ends on the pins, to keep the pins from hurting the dog's skin as the pins scrape against it, a slicker brush does not. So, be gentle when you use a slicker brush on your dog! I've used a lot of different styles of nail trimmers, but these heavy-duty clippers have worked the best for me. Here's my favorite shampoo for Cocker Spaniels. It's an antiseptic skin shampoo, so it's great for their skin. It also does a great job of getting the white fur white again on parti color Cockers. I also like the way it smells! I would always use it on our puppies before the new owners came to visit, and they often commented on how good the puppy smelled. If you have several Cockers and you give lots of baths, you might want to buy the one gallon size. This is an expensive item, I know... but it's worth its weight in gold! 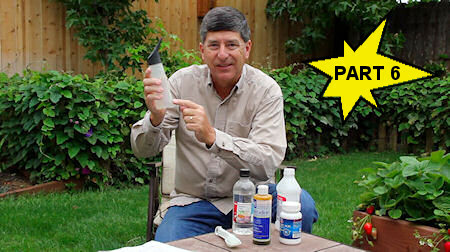 In the videos, I demonstrate how using a powerful dryer mounted on a stand helps you to free-up the hand that you would normally use to hold a blow dryer. If you're really coordinated, use one of your feet to make subtle adjustments to what part of the dog the stand dryer is positioned over! I admit I laughed the first time someone suggested I spend $450 for a stand dryer just for my dogs... but this thing is so powerful that it really speeds the drying process up, and it's great to have an extra hand free to manipulate the dog since you don't have to hold the dryer. By the way, if you buy the stand dryer, be sure to buy the $30 accessory kit (next item to the right on this page) to simplify the process of drying your dog's feet! 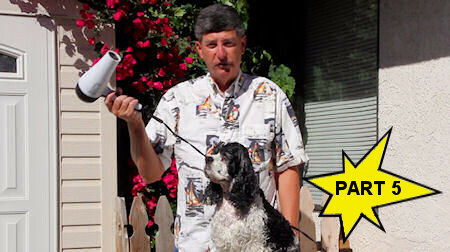 In the grooming video, I demonstrate how a stand dryer can be used to simplify and speed-up the process of drying off a wet dog. This accessory kit for the metro stand dryer takes that one step further by adding a long hose that you can attach to the dryer. This is especially useful when drying your dog's feet! This accessory kit gives your Metro stand dryer all the functionality of a canister dryer, at a cost of around $60! Included in the accessory kit is one of the handiest little gadgets ever: a thing that you mount on the wire mesh door of a dog crate, which takes the warm air from the stand dryer and blows it in to the crate. I use it after I've got my dog about 90% dry. I put the dog in a crate, mount the dryer accessory on the crate door, and turn on the dryer. This blows warm air in to the crate, allowing me to walk away and do something else and then come back a few minutes later to a dog that has finished drying. It's a great little gismo!